“Are you sure this is free?” my mother asks for the third time in disbelief, as the waitress brings her a Piña Colada, swiftly followed by a Miami Vice (pina colada/ daiquiri mix). It’s 10 in the morning and we’re ensconced under thatched huts on a gorgeous beach in Akumal, on Mexico’s so-called Mayan Riviera, a 112 mile stretch of coast which encompasses the relatively new tourist area from Puerto Morales down to Tulum, south of Cancun. 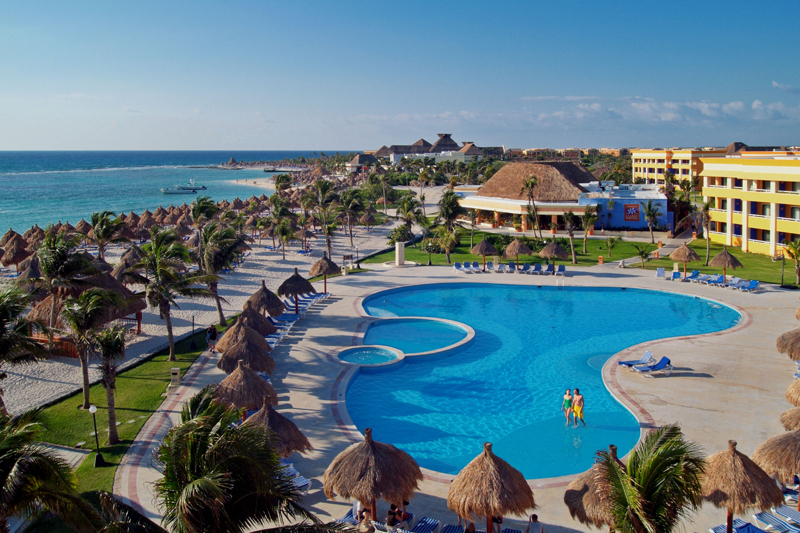 This week, we’re spending a family reunion at the Bahia Principe Sian Ka’an, an all-inclusive, 420-room room resort set on almost 300 acres of lush jungle. Together with the three larger sister properties just across the street, it’s part of a mega resort with a mind-boggling total of nearly 3,000 rooms on 600 acres which includes two world-class golf courses, a dolphin center, and residences. All-inclusive resorts usually encompass all food, drink, accommodation and entertainment for one price, and are practically the norm in the Caribbean and Mexico as well as on most cruises – places where guests are likely to stay put. The concept has yet to make a dent in Vietnam, or even Asia, though, as resorts are typically close to city centers where food is plentiful and cheap and where guests are likely to go out and explore during the day. A handful of Vietnamese properties offer meal plans with select meals but rarely drinks, alcoholic or otherwise, as an added option purely for the sake of convenience, like the ritzy An Lam Ninh Van Bay, a distant speedboat plus 20km ride away from Nha Trang. But true all-inclusives are few and far between in this part of the world. At the Bahia Principe properties this week, a Spanish-owned chain with resorts in the Caribbean, Mexico, the Canary Islands and Spain, one price buys activities like water aerobics, dance/Spanish/cooking classes, bingo and karaoke nights, as well as non-motorized watersports and access to a whopping 63 bars, restaurants and clubs, a departure from our family’s usual MO of renting a beach house with the requisite burdens of car rental, grocery stops and decisions about where to eat out. 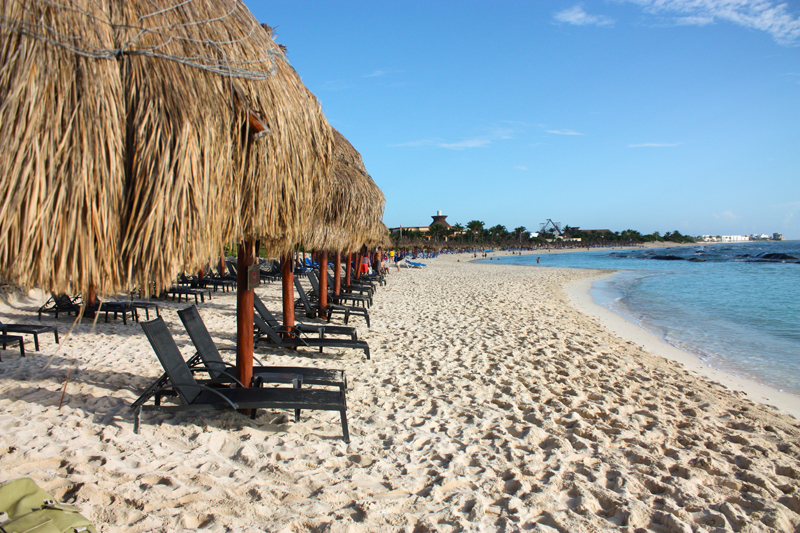 Oi speaks to Jose Luis Cervantes, Director of Sales for Bahia Principe Mexico, about the world of all-inclusives. For those who’ve never tried it, what’s the draw behind the all-inclusive concept? JLC: The economy has been changing a lot so people want to know that they just need to pay whatever amount they can afford and not worry about paying anything extra because pretty much all your food, beverages and activities are covered. If you’re on a budget, you know you’re going to have good meals, good drinks. The concept of all- inclusives has changed a lot. 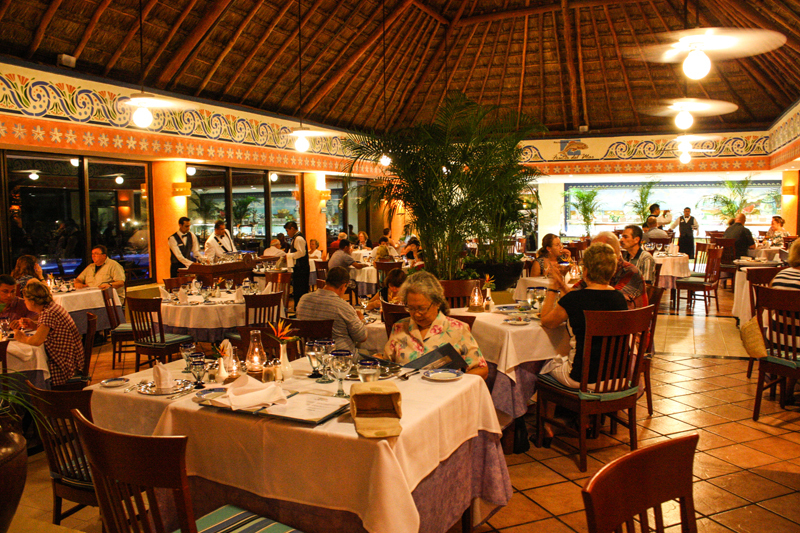 I remember one of the first all-inclusives in Cancun was Club Med, which was semi all-inclusive (meals but not drinks). Other properties saw their success and said why don’t we change to be like that? Now that the all-inclusive hotels have been around for a few years, guests already have expectations. They try out different hotels, always looking for something better. 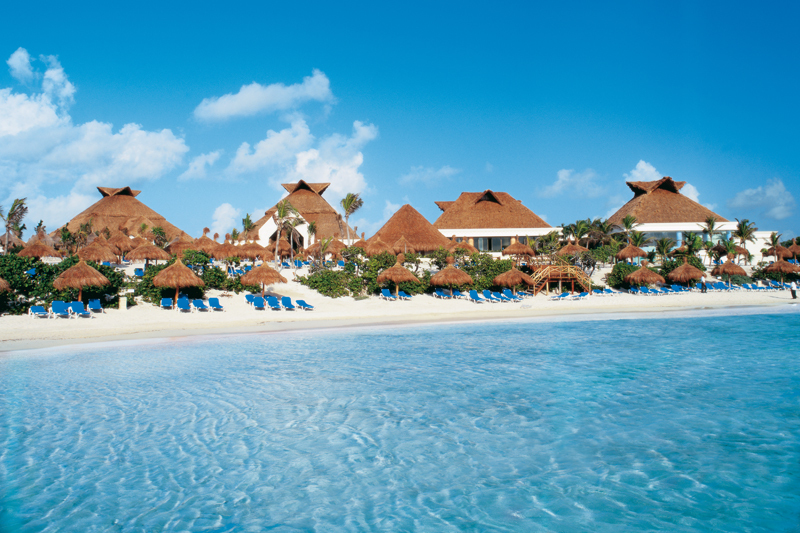 If there are 35,000 rooms on the Mayan Riviera, probably less than 1,000 are on a European Plan (room only, no meals). People expect it now. Does the all-inclusive concept discourage people from leaving the resort and visiting local businesses? JLC: In Cancun, where it’s pretty much just restaurants, bars and discos, they don’t really like the all-inclusive concept because people tend to stay at the property and not spend money anywhere else. 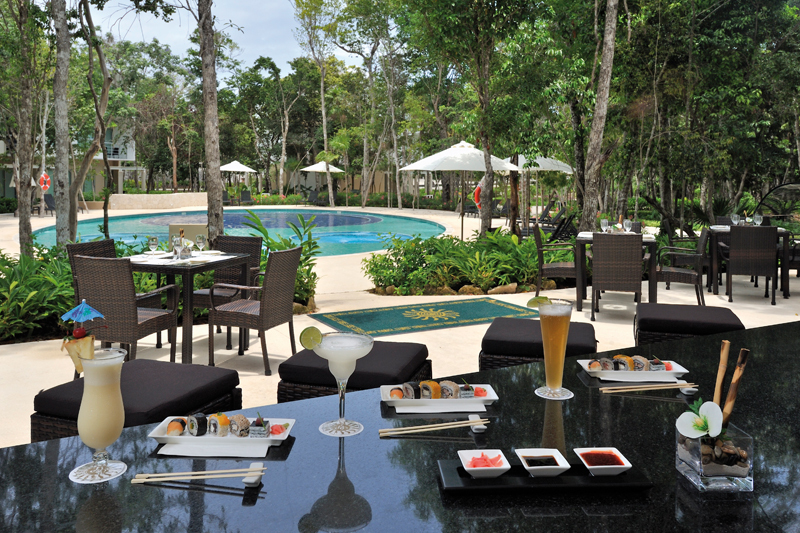 Here, in the Mayan Riviera, there is nothing within walking distance of our property. It’s different from the way they built hotels in Cancun which was just like Miami. Mexico learned their lesson. 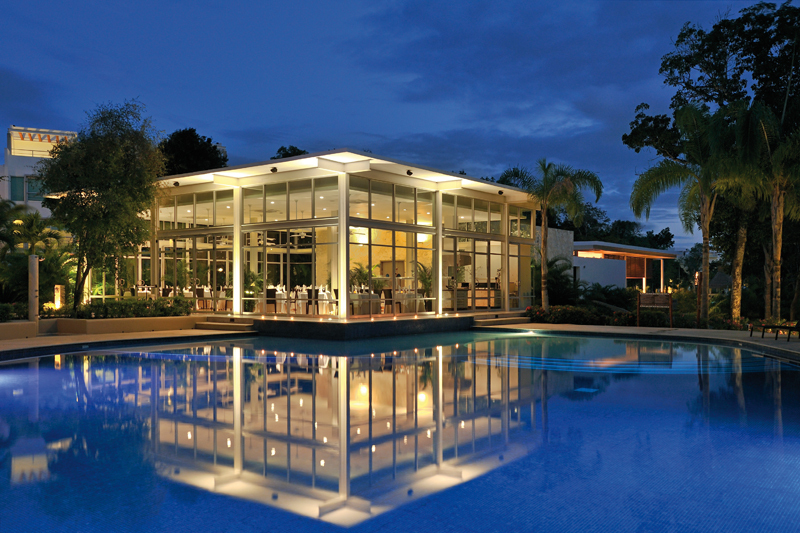 When they started thinking of expansion to the Mayan Riviera, they planned to do it a better way. The government mandated that each building had to be surrounded by lots of space with vegetation. So it’s not like there’s a corner store where you can pick up a Coke. Most people will stay within the property except for the tours, like to Xcaret with its culture shows or [the famous Mayan ruins at] Chichen Itza which is two hours away. Because all-inclusive guests tend to stay put, what can you do to make sure they’re entertained the whole time? JLC: Part of our challenge is to be able to offer guests whatever they want. Onsite we have a disco, bars and live shows certain days of the week. Even within the complex, we have one property that has 1,000 rooms and it’s family- oriented with a water park, a big children’s club, and starting this winter, we’ll have family rooms where kids will have their own room with their own mini-bar but with juice and candy instead of beer. Two of the properties are right on the ocean so they’re popular with honeymooners. This month alone, we’ll have 80 weddings on the complex. What is involved in taking care of so many people 24/7? JLC: We’re running at 95 percent occupancy, so around 6,000 people will be staying here tonight. Less than 0.5 percent really go and take advantage of local restaurants. The closest area is Playa del Carmen but it’s an USD80 cab ride plus dinner. When we have that many people, it’s difficult to make everyone happy. But we have more than 2,000 employees in three shifts – we’re a 24/7 business. This is a city. We have our own transportation, our own areas where we have apartments for select staff, our own doctors, gyms and pools for staff only. Making sure everyone is well-fed must be a huge challenge. JLC: In an average month, we’ll cook 23,700kgs of chicken drumsticks, 20,000kgs of chicken breasts, 25,600kgs of tomatoes and 5,800kgs of rice. Depending on the season, we provide each chef an amount per person per day. Chefs have their own menus which repeats every two weeks. For each guest, [the food budget] is something like USD15-20 per person per day. The chefs can use that money to create a good variety of food, drink and desserts. 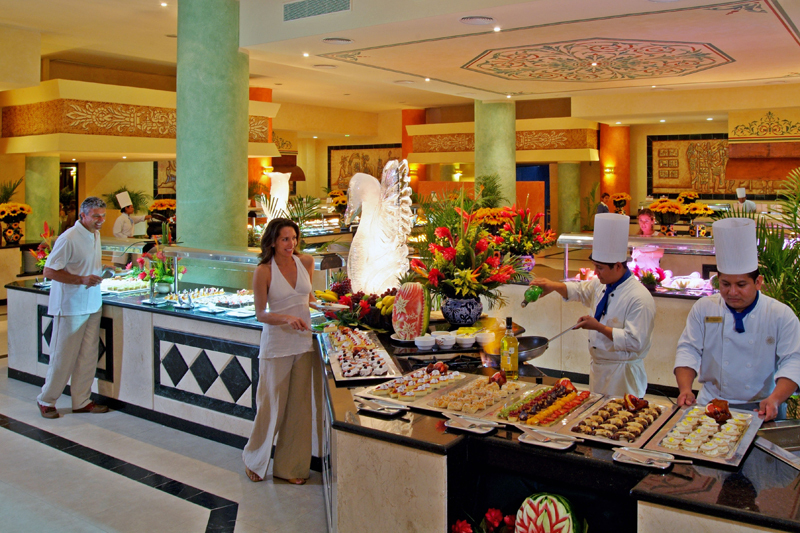 In addition to the buffet restaurants, guests can also book one of the a la carte restaurants featuring seafood, Brazilian, Japanese, and many other cuisines. It’s all included. For our costs, some restaurants cost less than the buffet, like Italian. Pasta isn’t expensive. But dinner for one at one of the other gourmet restaurants may be more than two people at a buffet. 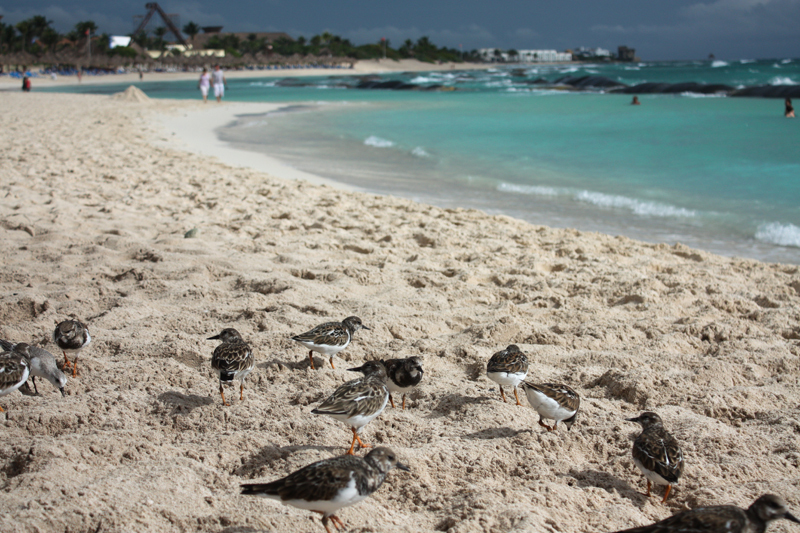 You can always tell who’s coming to an all-inclusive for the first time. They have a huge mound of food at the buffet – that’s an ‘arrival.’ The second night, they realize they can eat anything they want, as many times as they want! 1. Beware the upsell. Extras can add up quickly, including premium alcohol, wine with meals, spa treatments and on-site shopping. It’s easy to sign things to your room, so be aware of what you’re spending. 2. Take a few minutes to read through the week’s program and try something you wouldn’t ordinarily do, like a language or dance class. 3. All-inclusive holidays, whether they be land or cruise, tend to be based on volume, so if you’re looking for secluded beaches and few people, this type of holiday may not be for you. That said, if you’re willing to pay more, chances are you’ll be in select company. We were looking for quiet, so the property we’re at is adults-only and costs slightly more than the others, giving us more privileges (like being able to dine at any of the other specialty restaurants and having a separate beach area with bar service). 4. Unless your package says otherwise, gratuities are usually not included. Bring lots of small bills for everyone from the waiters to the housekeepers. 5. Make specialty restaurant reservations early. Seats are limited and after the first few days, most people will want a break from the buffet restaurants. It’s easier to change reservations than to make new ones. Bring along one dressy outfit just in case there’s a dress code.